By studying with us, you will improve your communication skills, grammatical knowledge and confidence – and get a step closer to achieving your goals. Our exam preparation courses are specifically designed for students to obtain the best possible results. 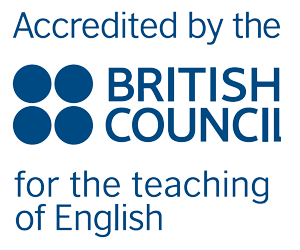 ETC International College is a specialist English language school accredited by the British Council and established in 1989. We provide English language training and specialist courses for international students from all over the world. We are accredited by the British Council and provide excellent quality courses. At ABILITY English, we are passionate about teaching our students to really grasp the essence of the English language. We encourage students to listen to and speak as much of the language as possible, convinced that practice is the only way to bring lasting improvement. We provide a safe and supportive environment for students to practise their skills, helping them to understand and correct their own mistakes as they grow in confidence. Students at ETC International College find a friendly, relaxed atmosphere where expert tutors provide the best tuition possible. You will make the most of your time with us and be supported, guided and encouraged throughout your studies. You will be treated individually according to your need and goals by our experienced teams. We are conveniently located in the centre of Bournemouth, close to the sandy beaches and to the main attractions of the city. A long-established tourist destination, Bournemouth is a beautiful seaside resort, which attracts visitors from all over the UK and the world. The city boasts beautiful parks and gardens and a cosmopolitan atmosphere. Copyright © 2015 Study International official representative ETC International College.